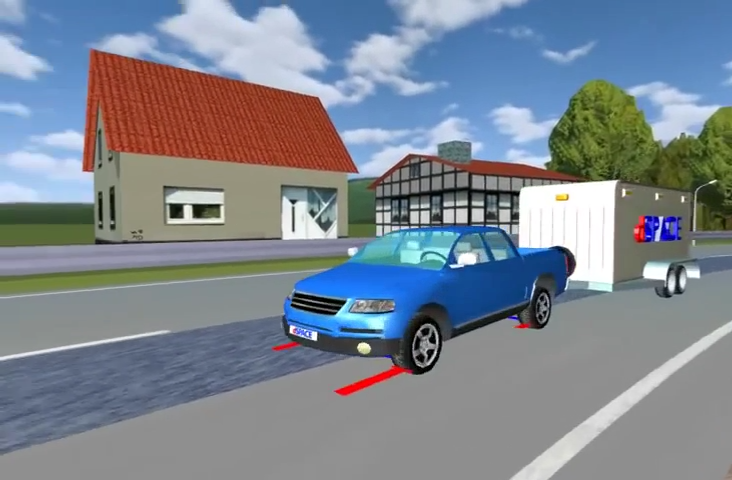 ASM Trailer is used to simulate cars, pickups and tractor-trailers. Models for virtual test drives. dSPACE ASM pickup with trailer braking without ESP. dSPACE ASM pickup with trailer braking with ESP. Couple and decouple ASM Trailer during simulations. dSPACE ASM Truck with semi trailer driving by. dSPACE ASM Truck pulling a trailer. 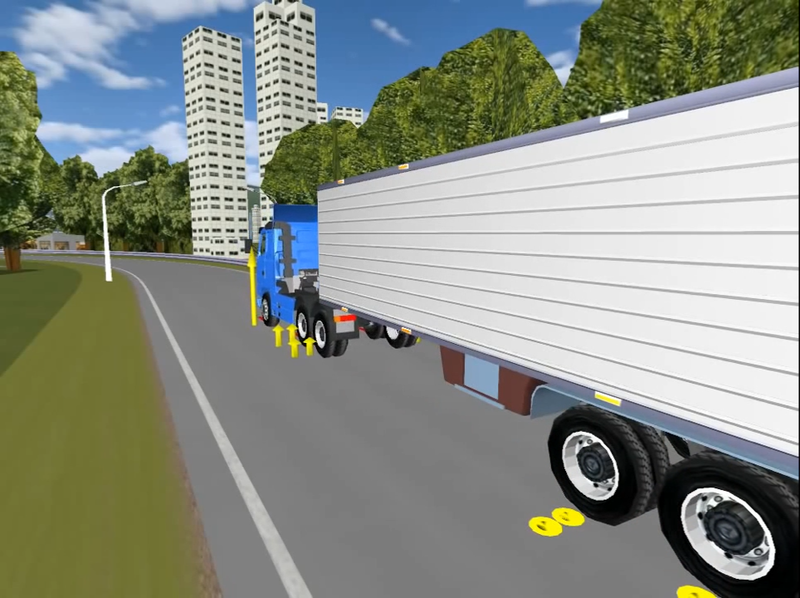 Simulating truck and trailer dynamics during braking without ESP with the dSPACE ASM Truck and ASM Trailer simulation models. 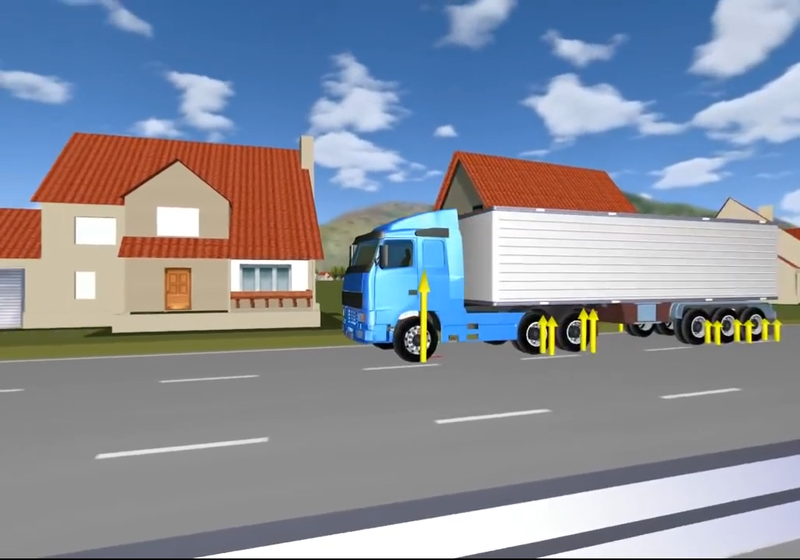 ASM Trailer is an extension to the ASM Vehicle Dynamics Simulation Package. It is based on a multibody system consisting of a trailer body, an arbitrary number of axles and an optional dolly. The model also includes suspensions, tires, brakes and aerodynamics. The connection to the towing vehicle is provided via a hitch that includes mechanical stops. The trailer and all axles can be activated or deactivated during simulation without new code generation. All of the Simulink blocks in the model are visible, so it is easy to add or replace components with custom models to adapt the vehicle’s properties perfectly to individual projects. The ASMs’ standardized interfaces allow the vehicle dynamics model to be easily expanded to meet specific requirements or even create a virtual vehicle. Roads and driving maneuvers can be created intuitively by using graphical tools with preview and clear visualization All parameters can be altered during run time. 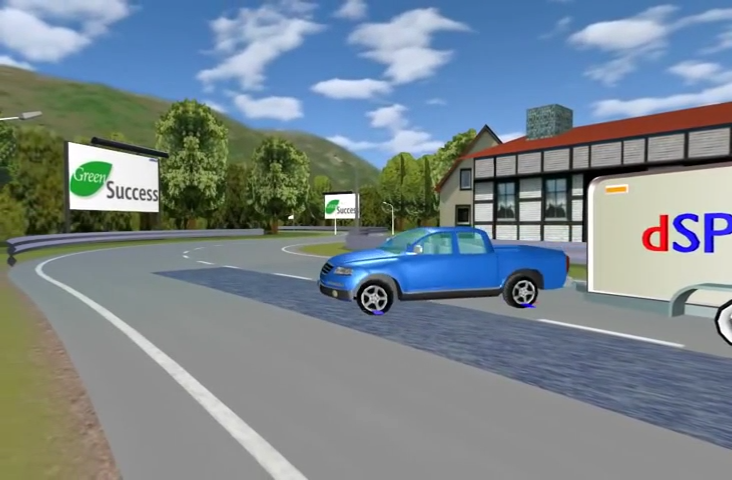 The ASM Trailer can be used in combination with real controllers in a hardware-in-the-loop environment (HIL, online mode), or for simulating a vehicle in combination with software controller algorithms together with dSPACE VEOS (PC, offline mode). The model comes in three different versions and license types for online and offline simulation: ASM Developer, ASM Operator, and ASM Runtime. They support either code generation via MathWorks´ Real-Time Workshop® and dSPACE’s RTI, or come as run-time models with precompiled code.